In the past two weeks, we have been traveling a whole lot. With two road trips under our belt and a third happening soon, I realized today that I have been grabbing the exact same six items every single time I have had to pack our bags. Usually when I travel, my skin gets irritated and dry and sometimes I even get breakouts, its not a pretty picture. I usually don't eat properly or drink enough water while traveling, and my skin suffers because of it. 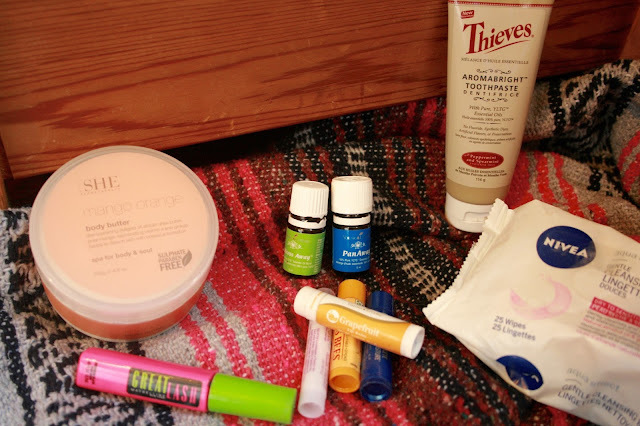 I don't know if this post is coming at a good time or not, but I thought that if my little bit of road trip toiletry favourites could be helpful to anyone, regardless of if its now or later, I should just write about it. Here are the items that I have been reaching for the past couple of weeks, the items that I have deemed my top six travel essentials. 1. 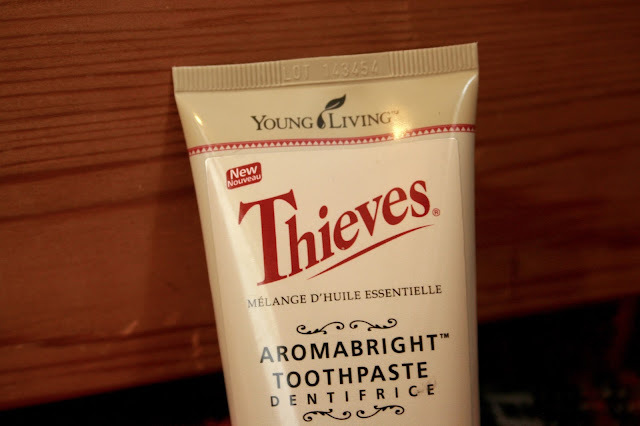 Young Living Thieves Toothpaste. There is nothing better than clean teeth, especially when traveling. 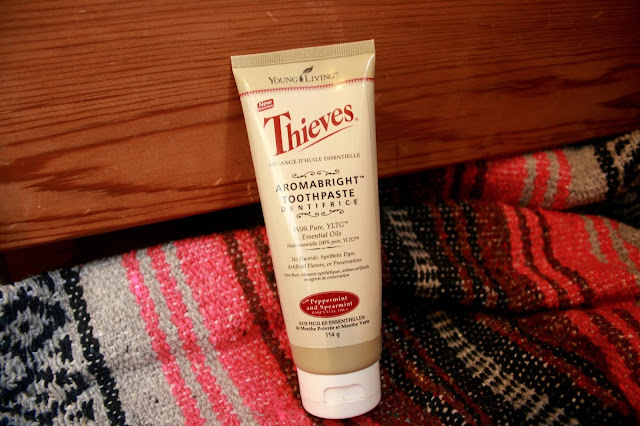 Recently I have had the pleasure of trying Young Livings new Thieves Toothpaste and I am in love. I was eager to try it when a family member referred to it as the "toothpaste that didn't make orange juice taste bad in the morning!" I can get on board with that, and boy, I am glad I did. With a subtle taste of cinnamon and clove, I am in love - maybe its the mood I am in, ready for fall, but this toothpaste will definitely be by my side for a while. I mentioned above that my skin is not my friend whilst traveling, and it is so true. I always end up with the worst of dry skin. So, as the obvious thing to do, I have been making sure that I have lotion on me constantly. 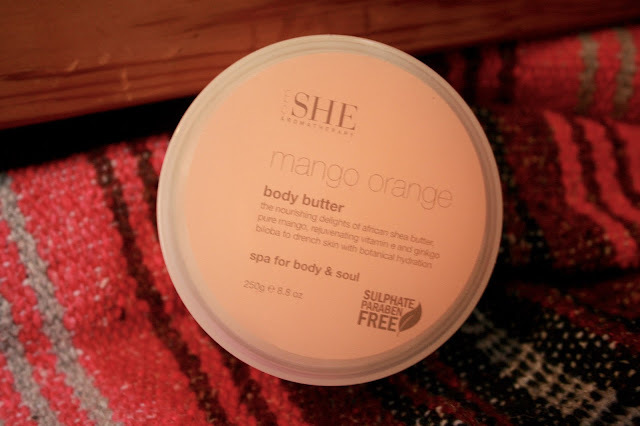 This body butter has been my absolute favourite lately. 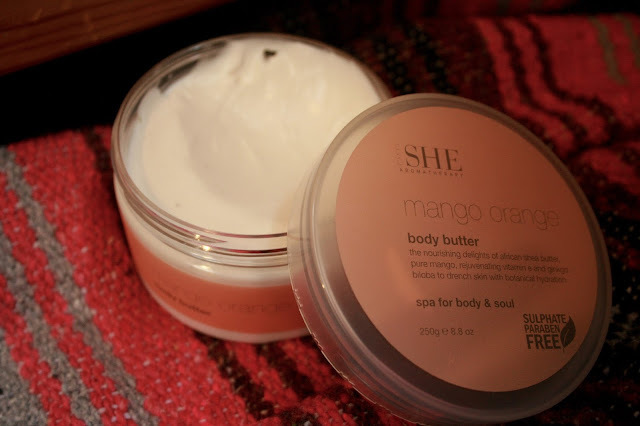 Now, when I say that this body butter leaves me with soft skin, I literally mean the softest of all skin! This is a true winner. I am about to get real with you all, I am the laziest person in the world when it comes to taking off my make - up. I know, its horrible to admit, but its the truth. At home I use a cleanser plus lotion, but on the road (and especially while camping) I just use a face wipe - and lotion! 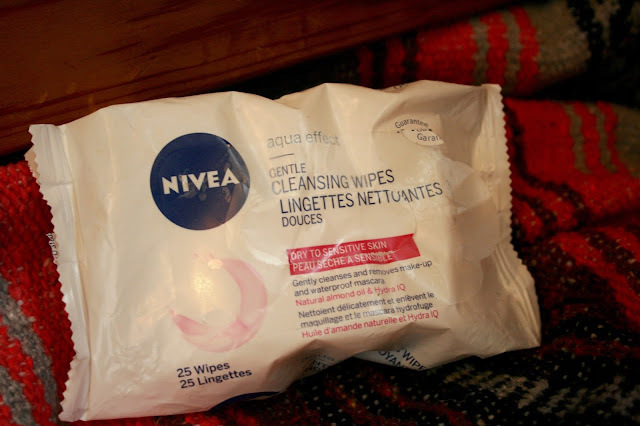 I am currently using the Nivea Gentle Cleansing Wipes and my favourite thing about it is the smell. Smells so good. And it cleanses my face, so fabulous! 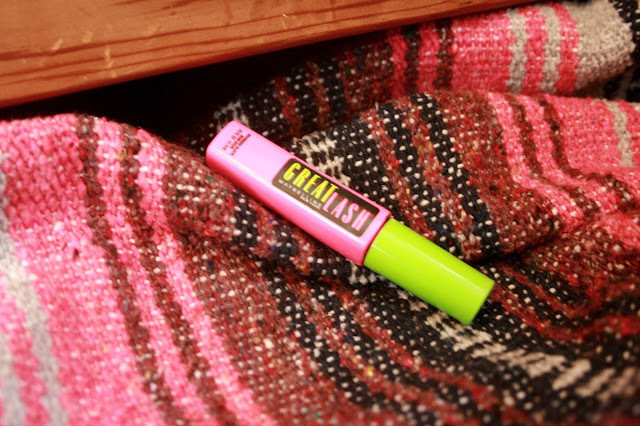 This has been my go to mascara for a very long time. It's easy to apply, great to use, and a staple to my make-up collection. Recently, a friend told me to put a couple of drops of Lavender Essential Oil. Not only does the lavender make the mascara smell amazing, but it also helps with eyelash growth. I am giving it a try, but overall I am really enjoying smelling lavender. 5. My Favourite Young Living Oils. 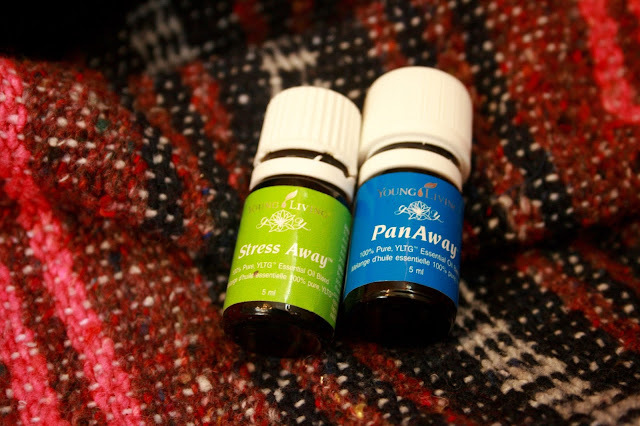 Stress Away - I love this oil. The smell really appeals to me. When I am stressed out or have anxiety (sometimes road trips giving me all of that) I place a couple of drops on my temple or on the base of my neck. The smell appeals to me as there is lime, lavender, and vanilla in this mixture - everything that I love. PanAway - wintergreen & clove makes this a very happy Christmas smell for me. I dab a little on my wrists as a natural perfume and when I feel a headache coming along, I place a little on the base of my neck. I love chapsticks and my rule of thumb for road trips is : make sure there are chapsticks in the purse, in the car, in the diaper bag, and in any other place or bag that I am using for the trip. 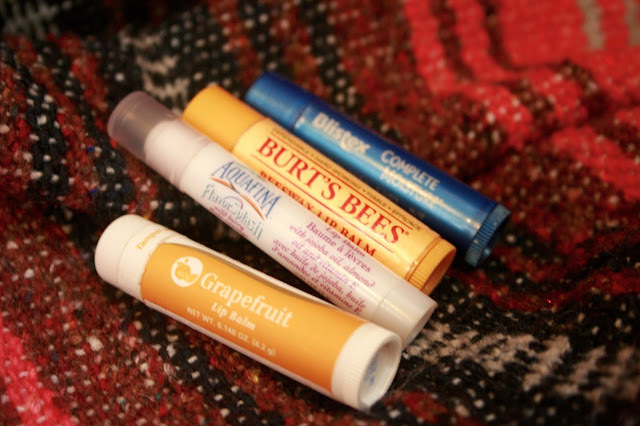 These four chapsticks have worked so well for me and are what is currently in my purse right. now. Aquafina - I first found these chapsticks at a dollarstore and bought them because I knew the name Aquafina. They are one of my favourite chapsticks because a) they come four in a bundle b) they are cheap and c) they work so well! Blistex - I stole this from my husband because its awesome. Burt's Bees Grapefruit - Burt's is awesome, I bought this for my road trips when I saw the grapefruit scent. Young Living Lip Balm Grapefruit - Another grapefruit chapstick? Yes, please! Another favourite. There you have it! 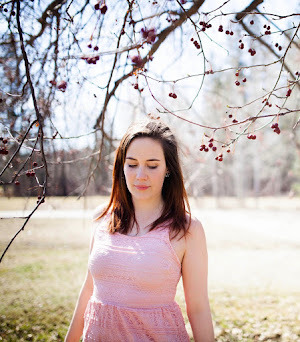 My top six beauty essentials for on the go! I really do hope that you enjoyed. I just wanted to let you know that I am not getting paid to mention ANY of these items, these are all my personal favourite things to bring - Just ask the Husband. 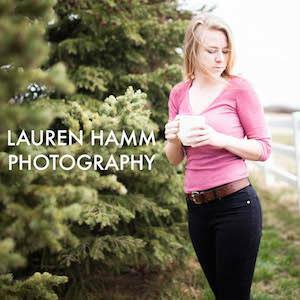 Would you like to become a distributor for Young Living Essential Oils? Follow this link and click where it says, "I was referred by a Young Living member, and I have his or her member number." Add my Member # 2948050 where it asks for Sponsor ID and the same Number where it asks for Enroller ID. Also, if you don't want the Premium Starter Kit, just click the box that says "no kit" when signing up, then you can purchase any products with the 24% discount.